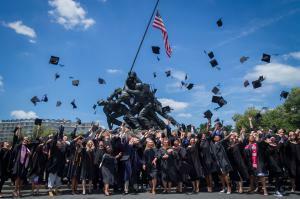 ARLINGTON, VIRGINIA, USA, July 11, 2018 /EINPresswire.com/ -- On 30 June, University of Management and Technology (UMT) held its 2018 Commencement at General Gordon R. Sullivan Conference Center in Arlington, VA. 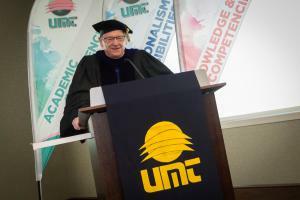 The UMT celebrated its 1,075 graduates in the Class of 2018 during its graduation ceremony. UMT also celebrated its graduates in the last five years. The great majority of graduates are working professionals. Since 1998 when UMT began to offer degree programs, it has built a strong global learning community through its online and distance education. Geographical boundaries do not limit UMT and its students. 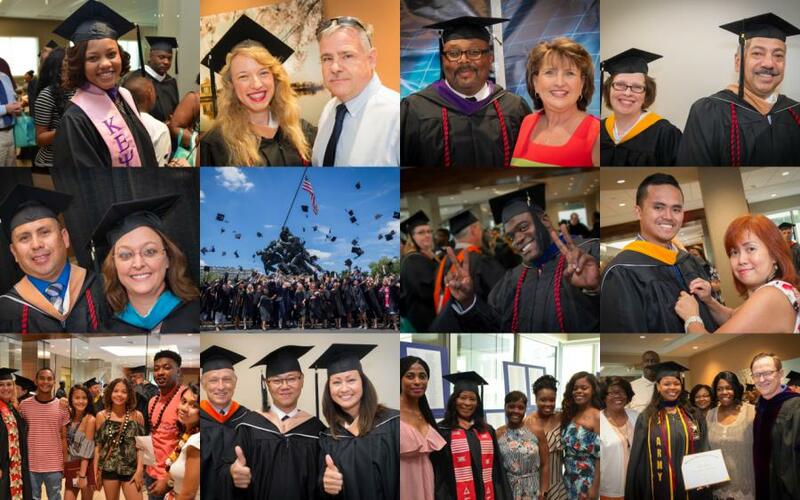 In the past 20 years, UMT has provided various levels of education programs to 21,838 students, who reside in 50 states, the District of Columbia, 4 US territories in the United States, and in 89 countries worldwide. 13,150 students have earned their degrees from UMT. UMT is proud of the fact that its education programs has provided students with the knowledge and skills to enable them to be job-ready professionals. UMT faculty and subject matter experts develop and review all the courses UMT delivers to keep them up-to-date. While the quality of UMT academic programs is on par with what traditional schools offer, the learning experience is very different. It is geared toward adult learners who want to move forward as quickly as possible to achieve their number one goal: to earn a degree that validates their knowledge and expertise. With degree in hand, they can apply for jobs that may have been out of their reach previously. UMT’s learning platform infrastructure is state-of-the-art, enabling students to study online anywhere, any time, and using any device. Students can access whatever information they need about their learning effort through individualized student portals. Each student portal delivers one-stop shopping, enabling students to register for courses 24/7, access their course sites, receive and submit homework assignments, communicate with other students through forum discussions, review their transcripts, pay their bills, and more. UMT closely works with professional associations, such as Project Management Institute (PMI), American Society for Engineering Management (ASEM) and others NGOs, to provide students memberships to join relevant professional communities as a part of their professional development. UMT aims at making higher education an affordable choice for all students. In the past two decades, while majority US universities have doubled their tuition rate, UMT has kept its tuition rate unchanged since 1998. In addition, UMT provides various scholarships and financial aids to help its students to cover their tuition and education related expenses. Annually less than 8% of UMT students need to borrow federal student loans to pay for their education at UMT.